Because business centers and executive suites house multiple clients in the same space, clients share useful resources that can be expensive for a single company purchase. Sharing conference rooms between multiple businesses enables you to avoid paying for extra square footage for meeting spaces that are rarely utilized, while still being able to meet outside of an individual office. Unlike traditional leases, executive suites with fully-furnished office spaces provide meeting rooms that ordinarily would raise rent costs for your business in a traditional lease. 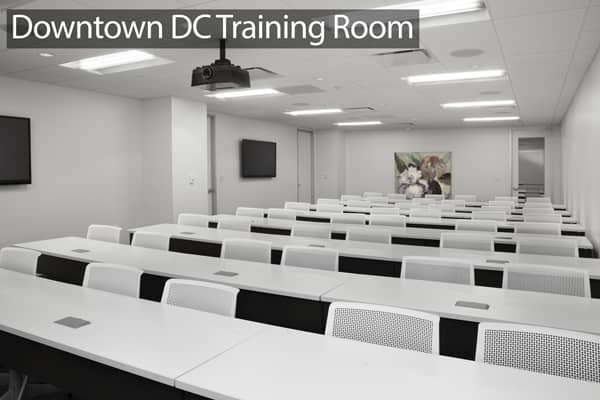 In addition to meeting rooms and training rooms, executive suites and business centers also provide shared space from kitchens to break rooms to lounges. Giving you space to think and relax without having to pay the full cost of space. Reducing your square footage isn’t the only way to cut overhead costs with fully-furnished office space at an executive suite or business center. Much of the office equipment used every day by a company can be costly to procure and maintain when you’re small business is just getting started. Professional grade copy machines, scanners, and fax machines can cost hundreds of dollars to rent on your own, while executive suites supply high end machines where cost is shared between multiple companies. You can also look to cut costs at an executive suite or business centers by sharing IT infrastructure and bandwidth costs. Typically business centers and executive suites also offer mail and notary services at discounted rates, all without you having to train staff or pay for development. By sharing all of these amenities you can avoid paying top dollar for all of the supplies you need to successfully run your business. Other service costs are defrayed by being split amongst all occupants of a business center as well. Video conferencing, beverage services, presentation equipment, and other add-ons allow small businesses to maximize their professional image while avoiding sinking large sums into up-front costs. Together, using shared environments and not paying full time for shared break and conference spaces gives companies a springboard platform to help them efficiently and cost-effectively achieve their goals while cutting down on expenses that would otherwise weigh you down.